Our Tarot Tuesday card this week is card XVII of the Major Arcana, The Star. 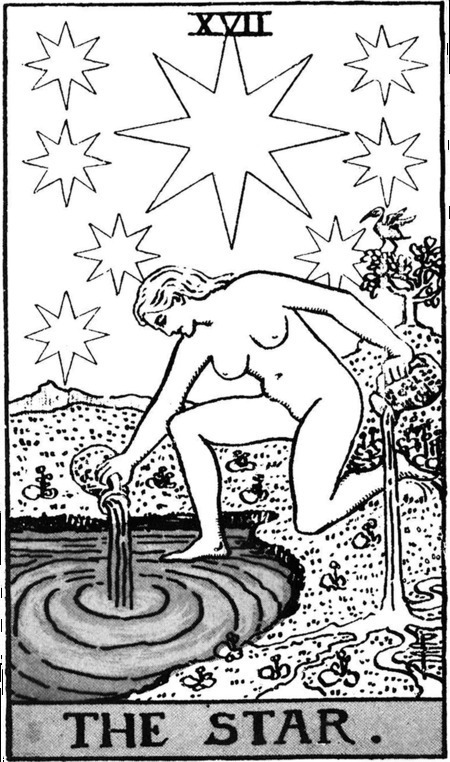 Many Tarot deck designs show a Star with either 7 or 8 points, above a woman pouring water from two pitchers. Our site for this card is certainly star-shaped, though with only 5 points, and lies between two branches of a stream which converge some 3-400m to the north, to empty into Newport Bay on the Pembrokeshire coast a further .5km away. 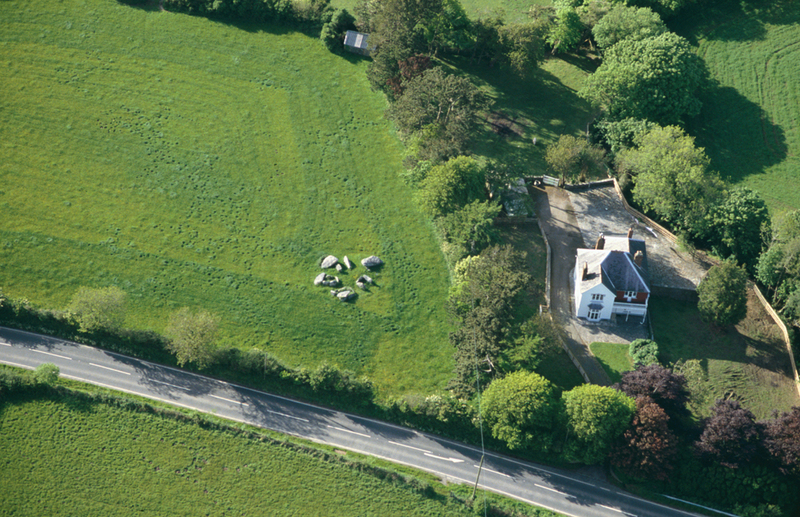 Cerrig Y Gof is a megalithic tomb some 2km west of Newport. It consists of a badly damaged central mound with five rectangular cists or chambers placed around its edge, giving the star-shape. At the western end of the Cerrig y Gof field is a stream, and the road bridge over it has an interesting name: Pont Heb Wybod (“bridge without knowledge”). Dyfed HER pages mention that it was recorded earlier as Pont y Wibod (“bridge of knowledge”). Four of the five chambered tombs are aligned on local landmarks – Carningli, Dinas Head, Mynydd Dinas and Mynydd Melyn. See our other subjective Tarot associations here.